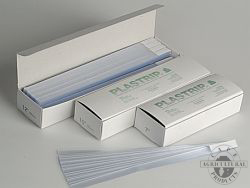 Plastrip Budding Tape is formulated to provide an excellent product and is used extensively around the world with much success. Works equally well for "chip" and "T" budding. Assures a positive seal so no drying out. Allows maximum expansion for growth. Promotes rapid callous growth and healing. Plastrip budding tapes are available in pre-cut strips 12mm wide, or on continuous rolls of varying widths. Click here to view our budding and grafting knives. "BUDDY TAPE" is a remarkable tape, specially created for grafting. 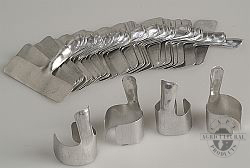 This extraordinary product is the result of innovative thinking and special processing techniques, and possesses unique functional properties. Buddy Tape's high performance not only makes the grafting process swift and easy, but also ensures a high success rate. ELASTICITY : Buddy Tape can be stretched up to 8 times its original length. This allows small pieces to be used for the application and ensures a tight grip on the bud or graft. Elasticity also means that the tape expands as the plant grows. SELF-ADHESION : Buddy Tape is not adhesive in its normal form but becomes self-adhesive when stretched. This allows quick application with no need for tying knots. WATER-PROOFING : The film has a wax content to keep it waterproof, so the bud or graft will not dry out, but air can pass through the permeable tape allowing the bud to breathe. The wax content also means that use of Buddy Tape can eliminate the need for waxing in covered areas. COMPLETE BUD COVER : Buddy Tape is pierced by the bud as it begins to grow, and because the permeable nature of the material allows the bud to breathe, the bud can be completely covered. This offers protection from infection and insects. BIODEGRADABILITY : The tape biodegrades naturally in exposure to sunlight, eliminating labour costs necessary to cut away standard tapes after use, providing an environmentally responsible answer to the problem of waste. 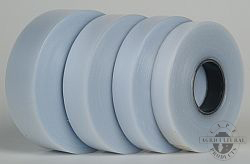 * Buddy Tape is available on rolls of 60Mt in widths of 18mm and 25mm. * Buddy Tape biodegrades in 5 to 6 months, eliminating the need for tape removal. * Some sizes are perforated for easy handling. *** In order to fully utilise the unique characteristics of buddy tape, we recommend that it is stretched gradually as it is applied. Although there is a natural tendency to stretch the film to full length and then simply wrap it around, this can cause the tape to become stringy which means the tape cuts into growing plants. 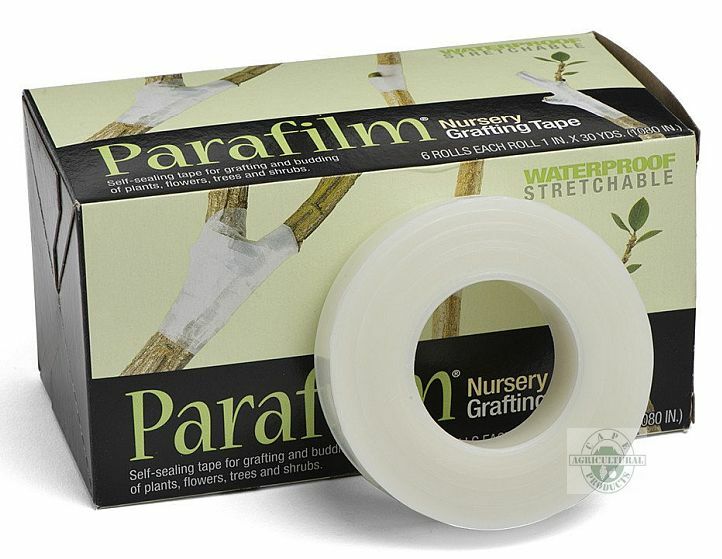 Parafilm Grafting Tape for use in nurseries is a self-sealing tape for the grafting and budding of trees, shrubs, plants and flowers. Parafilm allows gasses to pass through, yet is still an excellent moisture barrier for grafting and budding. * Parafilm is available on rolls of 27Mt in widths of 12mm and 25mm. Aluminium bud clips will ensure the straight initial growth of all the young trees in your nursery, eliminating the crook at the bottom of your tree. Packed 500 bud clips per carton.